I have been working on my 13 Skill of Music. 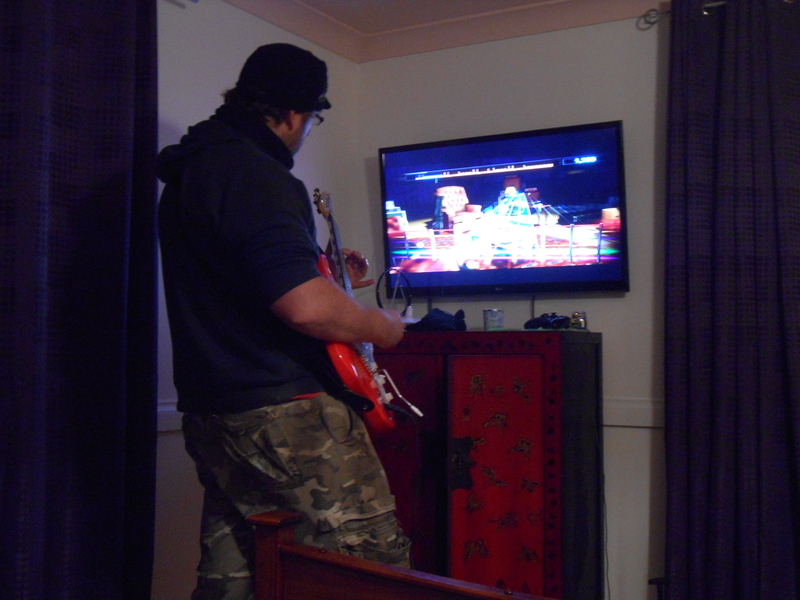 While Kitty was in Hospital, an Electric Guitar I ordered off eBay arrived, along with a game for my xBox 360, called “Rocksmith“. When I started I sucked beyond all belief. I could barely hit the notes, yet the game quickly taught me and within a week I was able to play some parts of a few songs with very few errors. It has been three weeks now and I am getting a lot better. I am able to play most of the songs with few mistakes, yet I am still a long way from completing this skill. I am inspiring my eldest son, who is a member of his school band, to learn the instrument which he has been asked to play. Here I am Rocking Out to the Pixies – Where is my Mind. It hasn’t been the most productive week. Mostly I have been helping Kitty more around the house, and we have been busy getting the house in order so that we can sell it. One thing I have been doing that is going through some of our food preps. Re-ordering them, working out what we have and taking stock. While doing this I found a few cans of peaches from 2009! I decided to open one to see if it was still if an edible condition. Let me say, they tasted great! 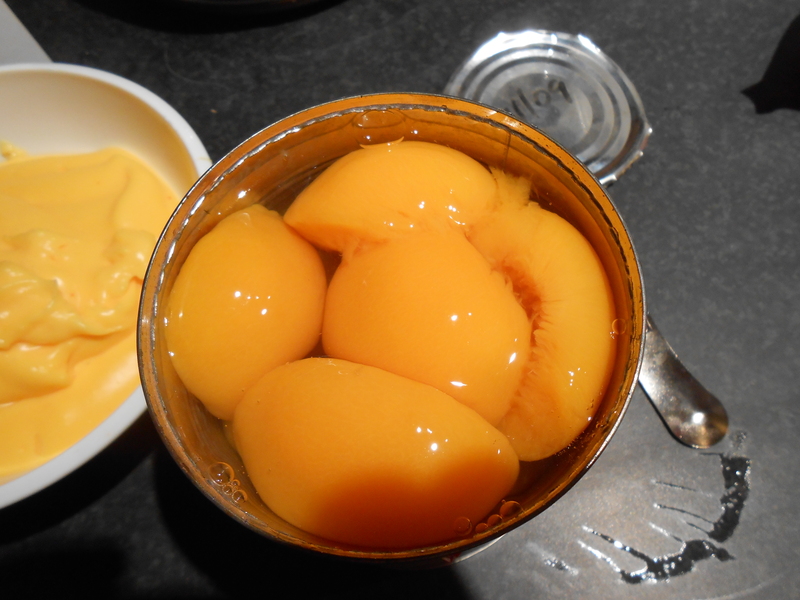 I can’t say the same for the vanilla custard that I made to accompany the fruit. You can see the lid to the right of the can of Peaches showing the date as 2009.